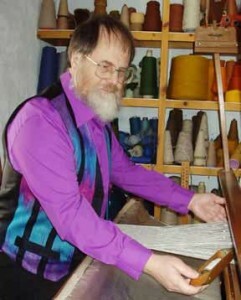 Snail Trail Handweavers was established at Penwenallt Farm in West Wales in 1975 where Martin has been running residential weaving courses in his studio since 1980. Martin is a full-time designer-craftsman and gives talks, workshops and demonstrations throughout the UK including the Guilds of Weavers, Spinners and Dyers and the Association of Guilds Summer Schools. He has worked as “Artist in Residence” in schools and at the National Eisteddfod of Wales. Over the Winter months he runs local Community Education classes. In 1998 he gained a Winston Churchill Travel Fellowship and travelled the Silk Road researching Ikat and traditional textiles in Central Asia. Martin will be teaching Weft Ikat at the Association Summer School being held in Carmarthen in 2015. As the site develops there will be extra pages on particular techniques such as Ikat. 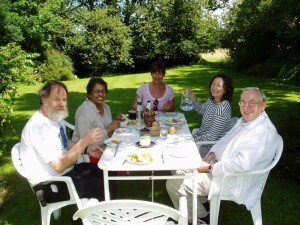 The peaceful atmosphere of Penwenallt Farm, completely surrounded by open farmland and overlooking the wooded Teifi Valley, gives you a chance to forget day-to-day pressures and become totally immersed in learning new skills or building on existing ones. Students have come from all over the world from as far afield as Japan, Hong Kong, America and Australia and over the years many friendships have been forged and students have returned year after year. Courses are residential or non-residential and can be 2, 3 or 5 days depending on your requirements. 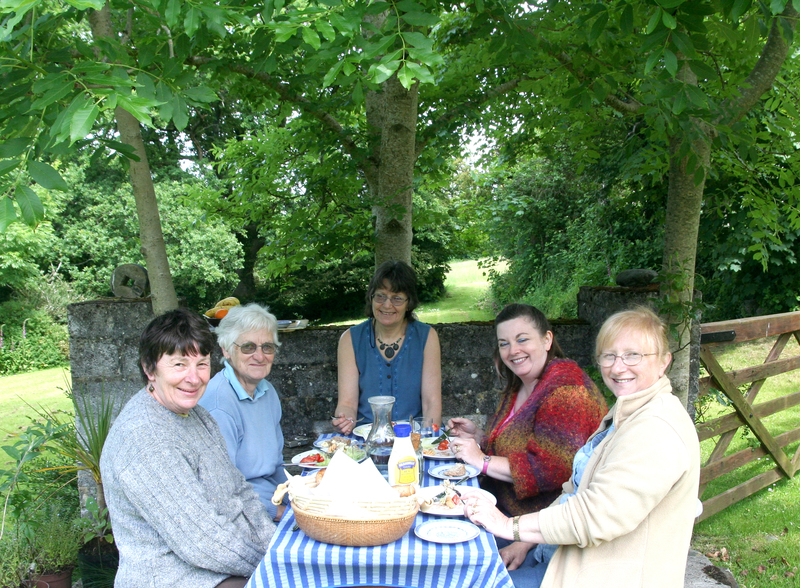 You can focus on weaving, spinning or dyeing or sample all three if you wish. With an average of 2 or 3 students at a time but never more than 6, complete beginners and those with experience may learn at the same time. This individual approach means that you will achieve a great deal in a short time. Tuition is from 9am – 4.30 pm each day and the studio is open 24 hours a day for you to continue on your own as long as you want. 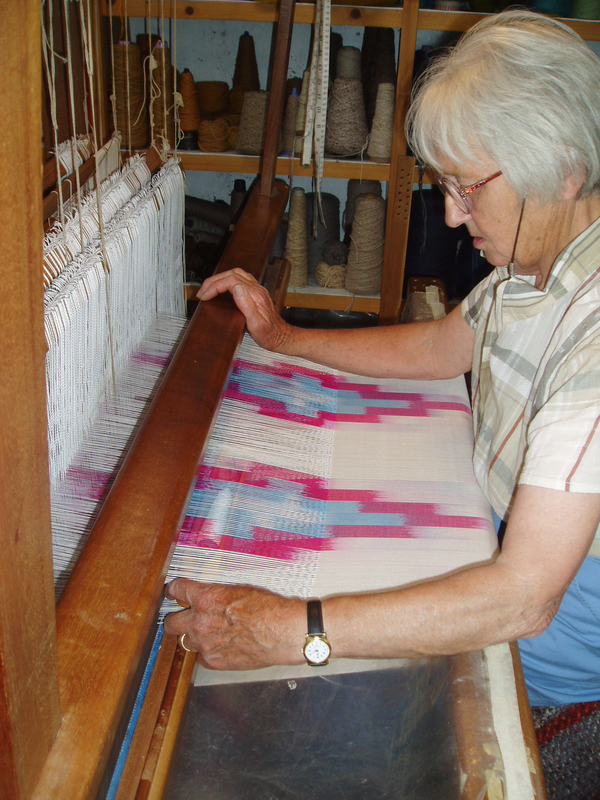 Materials are charged at cost and usually come to less than £5, unless you are weaving a rug which can be up to £25. Tuition only : £75 per day. Full board accommodation : £72 per day for the single room, £77 per day for single occupation of the small double room and £82 per day for single occupation of an en suite double room. Few words can describe the warmth and kindness I found here. Thanks for everything. Ellen, USA. Fantastic – don’t want to leave. Susan, London. For the sixth year, another wonderful week and a lovely garment to wear as well. Amanda, Gloucestershire. It was all I could possibly hope, total concentration into another world – of colour, texture, shape, rhythm and learning new things. Very many thanks. Emily, Derbyshire. The conversation, food and fun was equal to the terrific instruction. Liz, USA. Very good course – teaching made it difficult to “fudge” mistakes! Excellent food & am pleased with my rug and scarf. Mariel, London. Lovely week – the best kind of holiday. Jos, Ipswich.